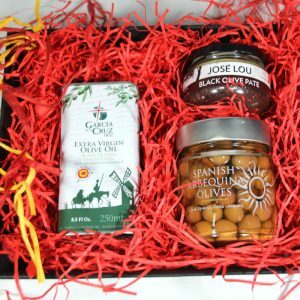 For the lover of olives and all things olive! 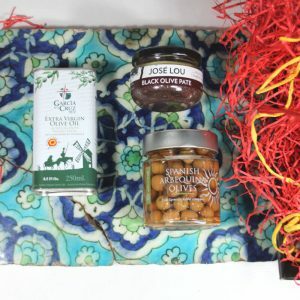 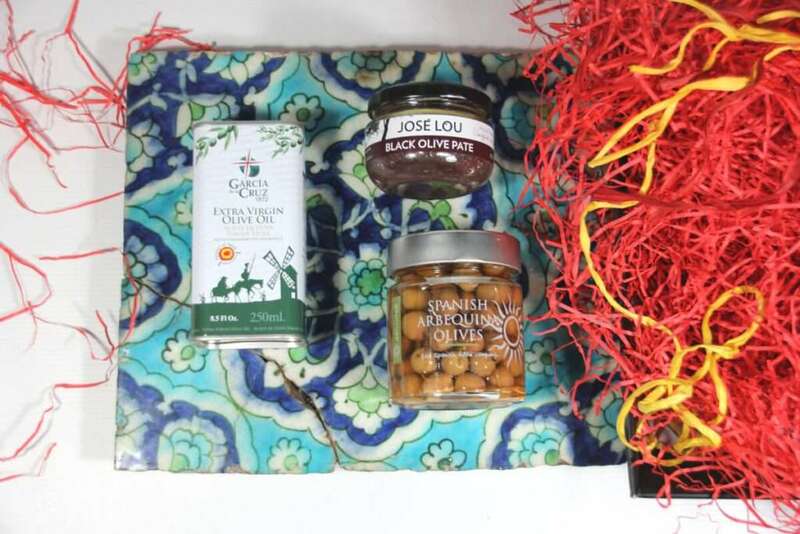 A hand-prepared gift tray containing speciality nutty Arbequina olives from Catalunya, naturally-black tasty Empeltre olive pate and Coupage blend extra-virgin olive oil. 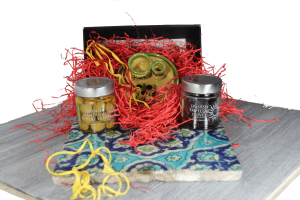 Any lover of Mediterranean foods will love this great little gift! 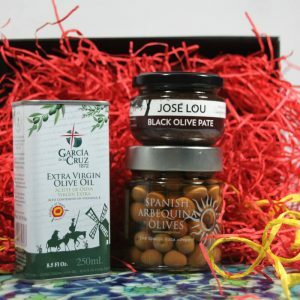 And remember, we can add a gift message with your order, just let us know at the time of ordering.